Based on human movement as the model, the Genium has been developed even further. The result is a noticeably smoother gait and even better support and safety in everyday situations, for instance on ramps, in confined spaces or when changing walking speeds. 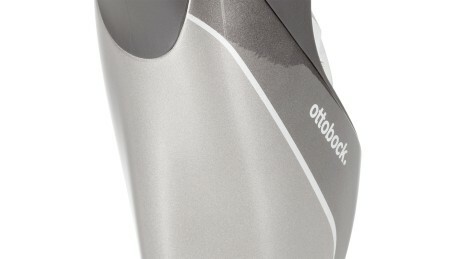 The leg prosthesis can be configured with the Cockpit app, which is now available not only for Android but Apple (iOS)** devices as well. 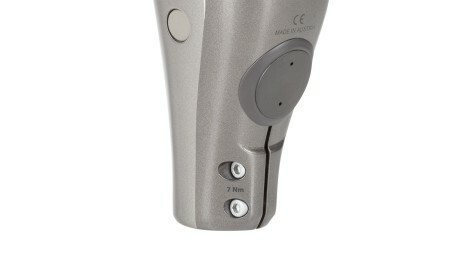 The AXON tube adapter measures both the ankle moment as well as the vertical force acting on the joint in real time. The AXON tube adapter can be connected with a foot without an intermediate piece. Integrated Bluetooth technology permits simple communication with the joint. The function can be disabled if necessary. A gyroscope and acceleration sensors allow the Genium’s spatial position and acceleration to be determined in real time. An angle sensor determines the flexion angle and flexion angle speed. The prosthesis is controlled based on an analysis of the movements and the force acting on the joint. The hydraulic unit controls the Genium. The flexion and extension resistances of the joint are controlled independently by means of two control valves. 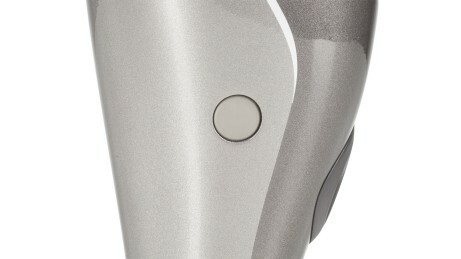 The inductive charger is connected with magnets to the back of the knee joint. This technology allows charging through clothing and cosmetic covers. The knee moment sensor supplies data regarding the knee moments that occur. It provides key information that makes it possible to precisely determine the forces acting on the prosthesis. The Genium’s battery and electronics are enclosed and protected by the frame. 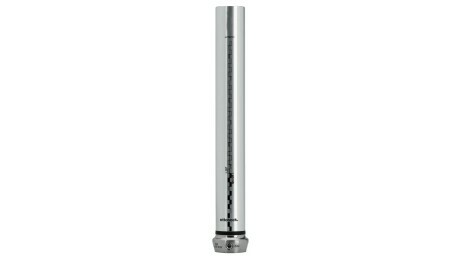 The integrated microprocessor coordinates all measurement and control processes. 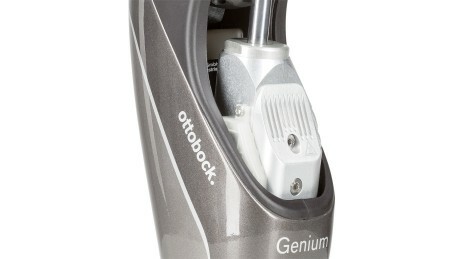 Thanks to the newly updated, unique technology, the Genium enables a gait that’s even more natural. Added support is provided by possible adjustments that can make walking on ramps or sitting down easier. Additional functions can help adapt the prosthesis to your everyday life. The stairs and obstacles function provides useful day-to-day assistance. It lets you take stairs step-over-step or overcome obstacles such as curbs. We responded to users’ requests for improved protection against water and upgraded the Genium to an IP rating of 67. 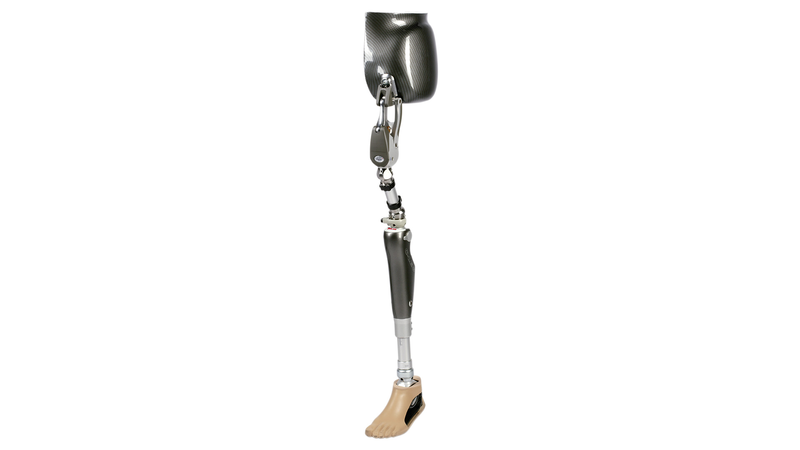 As a result, the leg prosthesis can also be exposed to brief rain showers or come into contact with splashed water. The Genium features two different stance functions that permit resting on the prosthesis side. The result is continual relief for the sound side. This is especially beneficial for bilateral users. The option of having up to five pre-settings (MyModes) programmed for special activities lets you adapt your prosthesis even better to your everyday life. The new Genium offers an even larger selection of options for individual modes. With the Cockpit app 2.0 for Apple and Android devices, you can easily and conveniently configure the new Genium yourself. Whether you want to check the battery charge level, select a MyMode or change the volume, it’s all right there on your smartphone. The Genium’s introduction in 2011 represented a breakthrough in lower limb prosthetics – but it didnt’ stop there. Every step of the Genium’s development has pushed the limits of technology farther with the goal of coming even closer to the natural model. Years of research and development work have resulted in the Genium as we know it today. Movements are calculated with incomparable accuracy and triggered in real time. The technology recognizes whether the user is on uneven terrain or inclines and whether they are changing speeds. Studies have proven the long-term health benefits of the targeted relief it provides for the sound side. Compensating movements are reduced. Thanks to the Genium’s intuitive use, users benefit from being able to focus their attention on the important things in life, rather than having to think about every step. Thanks to integrated Bluetooth®, the Genium can also be controlled with an app. Additional movement patterns are stored as MyModes and can be easily selected using the corresponding app. Mute mode can be selected via the app as well and is ideal when visiting the cinema or theatre, for example. The battery charge level can also be checked using the Cockpit app, which is available for the new Genium on both Android and Apple (iOS) devices. 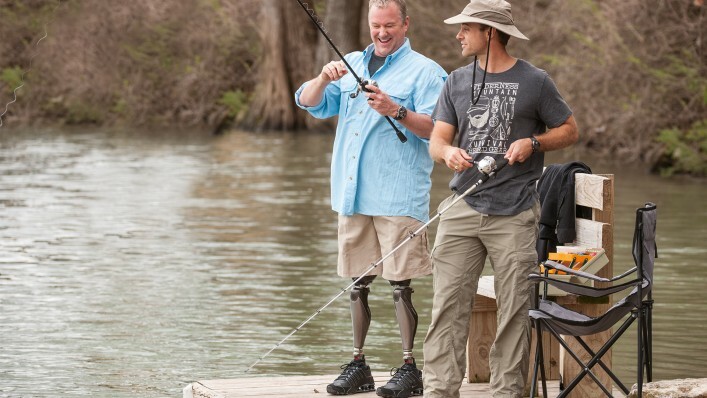 Who can wear a Genium leg prosthesis? 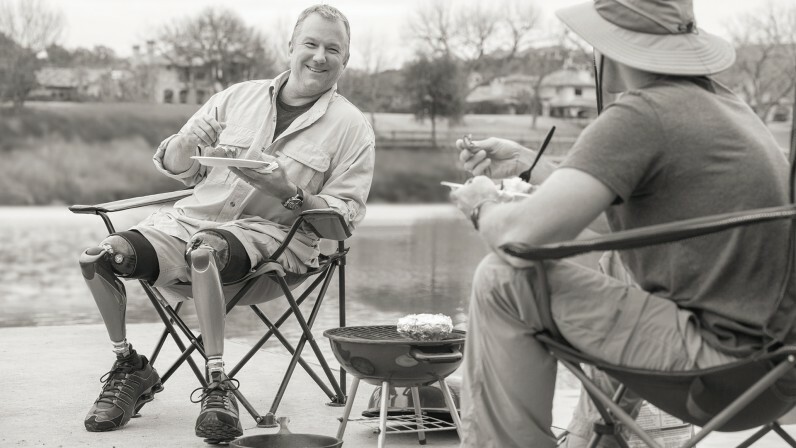 The Genium is suitable for people with a transfemoral amputation who want to benefit from the broad range of functionality this leg prosthesis offers, opening up new possibilities in their everyday lives and recreational activities. Special settings in the adjustment software that are available for the Genium meet the needs of bilateral amputee as well. Where can I test the Genium? The Genium leg prosthesis is fitted by certified medical supply companies whose employees have completed corresponding training. A trial fitting may be obtained from one of these certified companies. 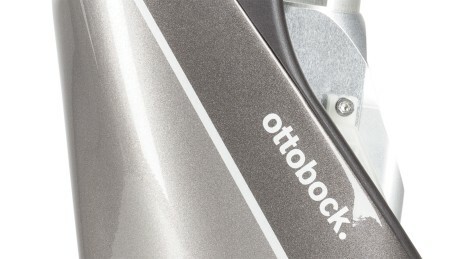 It takes place over a predetermined period of time and is monitored by Ottobock when needed. How long will it take me to learn how to use the Genium properly? We can't make any definitive statements regarding this. Many trial users are able to take stairs step-over-step on the very first day. But it may also take longer depending on your individual situation. 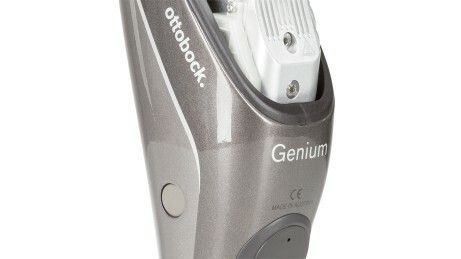 What all is included in a fitting with a Genium leg prosthesis? The fitting includes all components from an optimal prosthetic socket to the appropriate prosthetic foot. Your O&P professional will customize these components to your individual needs. The assembly and setup of the chosen components are also part of the fitting package, as well as regular service inspections. 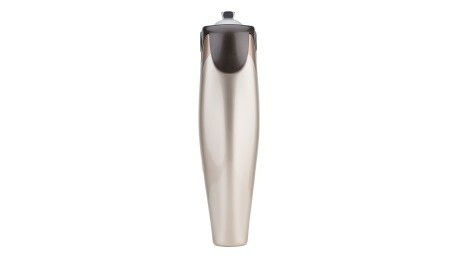 How long will the battery of the Genium leg prosthesis last? 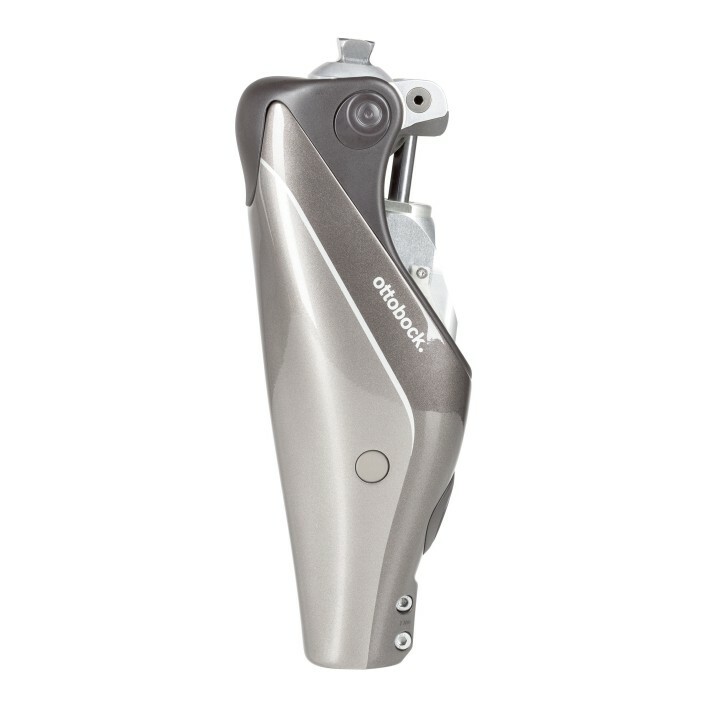 Thanks to intelligent energy management, the Genium leg prosthesis has a battery capacity of five days when fully charged. However, we recommend charging the prosthesis every night. A vibration signal warns you in a timely manner when the battery charge level becomes low. Once it is drained entirely or if the power supply fails, the Genium automatically switches to safety mode. Can I also use the Genium in wet conditions? Following a technical upgrade, the Genium is now assigned the IP rating 67. Aside from letting you walk in the rain without any concerns, this means that the Genium can also be exposed to splashed water.